The year is drawing to a close, and that means that it’s time to look back over the year and see if I have made any progress at all on the reading goals I set way back last January. This one was a challenge found at Bookish. 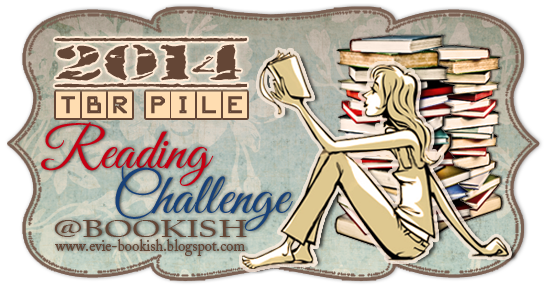 I had made a promise to read 20 books that were on my TBR list as of the end of 2013. This could not count any new books added to that list this year. I was also supposed to blog about it monthly and let you know my progress. This one I was really excited about trying to do, and, well, I didn’t make a lot of progress. In fact, I kind of made the situation worse. My goal was to finish up the series that I started in 2013, of which there were nine, and then be sure to finish all the new series that I started in 2014. Note that I’m not counting ALL the series that I never finished. Just for these two years. Meh. Didn’t happen. But there was progress made. Of the nine series from 2013, I only managed to finish reading three: the Chicagoland Vampires series by Chloe Neill, the Cold Awakening trilogy by Robin Wasserman, and the Curse Workers trilogy by Holly Black. I know I’m only temporarily done with Chloe Neill, because there are two new books coming out next year. Actually, that was the case with most of these. Several of the series that I started this year are still works in progress, with new books coming out in 2015. I counted them complete as long as I read all the available books, and will most likely track down the new ones as soon as I can. So this year – I started a grand total of SEVENTEEN series. Oy! And I finished . . . The six I finished were the Daughter of Smoke & Bone trilogy by Laini Taylor, A Song of Ice and Fire series by George R.R. Martin, the Otherworld series by Yasmine Galenorn, the Infernal Devices trilogy by Cassandra Clare, the Casters series by Norah Wilson and Heather Doherty, and the Splintered series by A.G. Howard. I still say that’s a LOT of progress, since the Martin books are huge and the Galenorn series has sixteen books in it. So that took a while. Still, I read a lot of really good books this year. I will hold off posting my GoodReads reading challenge results, since I think I will be finishing one more book before the year ends, but let’s just say that I killed that one. 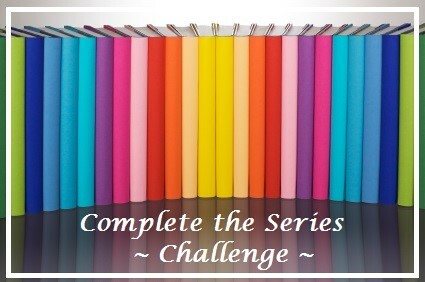 I think for 2015, I will be dropping the TBR challenge, just because I want to focus on working through some of these series. I’m putting together a list of ALL the series I want to finish, not just the ones from this past couple of years, so that will give me plenty to work on. Still working on the Seasonal Reading Challenge over at GoodReads too, just because it’s fun. I’ll start including info on that when I post reviews, which I will eventually get back to doing. I’ve read too many good books lately not to! How are you doing on your goals for 2014? Are you going to be able to squeeze in a few more books before the year ends?